+++++++as she leaves the sleeping house. The Vix Princess officiates at an autumn ritual that synthesizes elements of Greek, Etruscan and Celtic culture. Her daughter, the Kore, is at the heart of the ceremony, which thus becomes a rite of passage. The third major figure in this drama is an Etruscan foot soldier, who has migrated to Vix, without having yet had experience of battle. And the fourth major figure is the Hecate or Hag; thus, completing the triple aspect of the Goddess and of women’s lives, from Virgin to mother to old woman, who has seen and experienced it all before and is now a spectator of the continuing, female drama. “The past has never been less past than in these sensuous poems by Helen May Williams. The mysteries and rituals of two and a half millennia ago take on flesh and blood and move through her pages in a seamless marriage of the mythic and the all-too-real. Ecstatic, cruel, and deeply literate in human longings and frailties, these poems constitute a profound act of imagination.” – Michael Hulse co-editor of the best-selling anthology The Twentieth Century in Poetry, and author of Empires and Holy Lands. 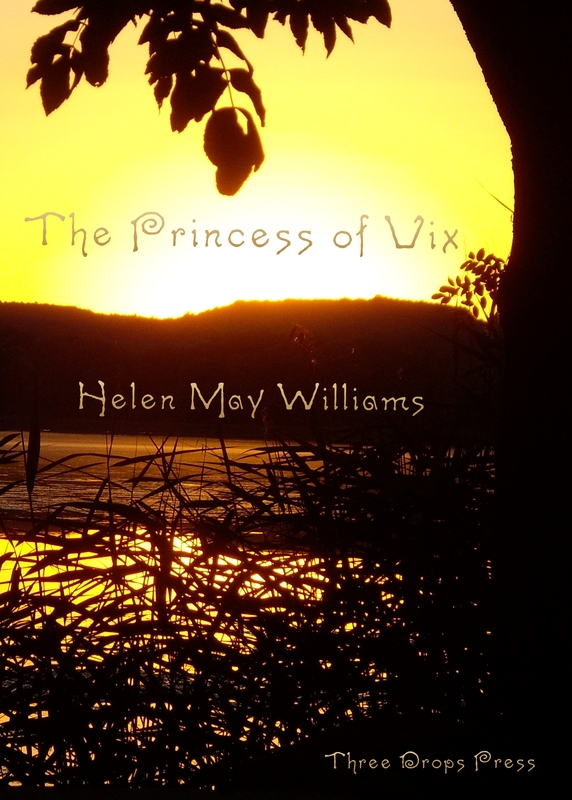 “In The Princess of Vix, Helen May Williams evokes a world in which blood, libation and the heady opiate of poppy-seeds lead the reader to the Eleusinian Mysteries of ancient times. Based on the discovery of the Vix Burial in Burgundy, this is a rich and tightly-wrought sequence of poems. Chthonic deities intertwine with Celtic legend, myth with archaeology, in precise language that never loses its way. Steeped in ritual and ceremony, this intriguing little chapbook is also about the power of women. We are reminded of the blood-vengeance of the Erinyes, of shamans, of the importance of the female role in pagan worship. Complex, fascinating and vividly descriptive, this is a tiny jewel of a collection, a chapbook to delight, inform, and make you think.” – Kathy Miles. Author of The Shadow House and Gardening with Deer. The Princess of Vix is currently available from Lulu, and will soon be available on Amazon, and directly from the publisher. Helen May Williams is a poet and author, living in West Wales. She has written extensively on twentieth-century poetry and formerly taught American Literature at the University of Warwick, where she set up the Contemporary Poetry Archive in 1980 (now digitalized as part of the Writers at Warwick Audio Archive), interviewing poets such as Thomas A. Clark, Tom Pickard, George Evans, Roy Fisher, Lee Harwood, Peter Riley and John Wilkinson. She was a founder member of the Warwick Writing Program Advisory Board. She runs the Poetry Society’s Carmarthen-based Stanza group and is an active member of Penfro Poets, where key poems in this sequence were instigated. She performs her poetry regularly, including at the iconic Brown’s Hotel, Laugharne.